Yesterday morning, after picking up scones for me & Gerri (artistic sustenance), I made a quick stop at the post office on my way out of town. The lobby of the old building on 9th Street was open, but the window was not yet, so I was the only one inside. Please note: You can send notes to me/Rich at P.O. Box 828, Ocean City, NJ 08226. I still love getting mail; there’s something so intimate about it that even an “old-fashioned” e-mail will never be able to match. Maybe that’s why I subscribe to so many magazines, too: to receive something that can be handled. 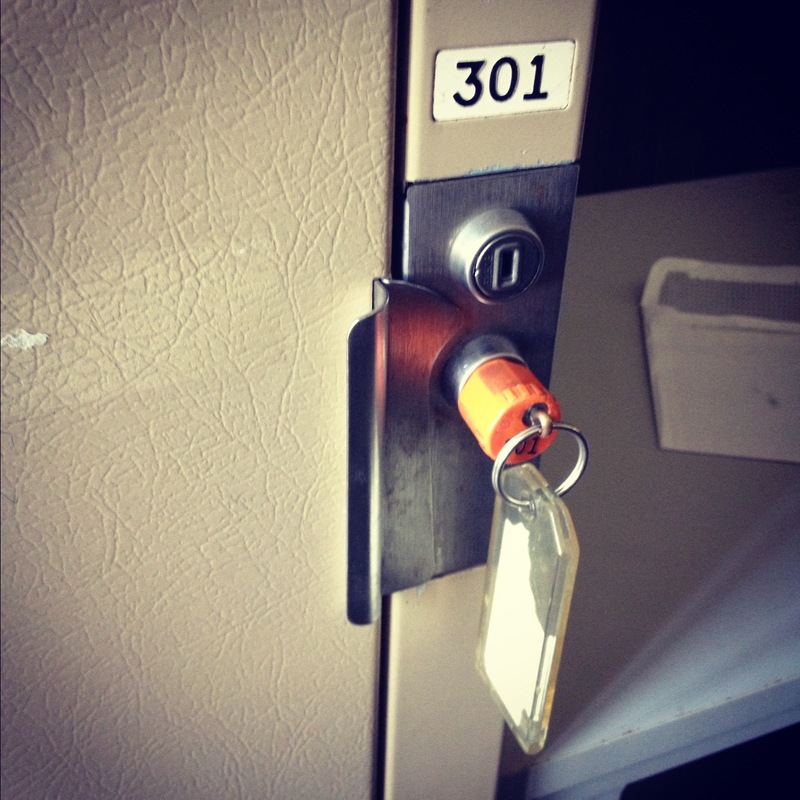 Anyway, I was expecting a rather Charlie Brown moment yesterday––just me peering into an empty tunnel––but instead, when I unlatched the little door, a locker key fell out(!!). It rather terrified me, to be honest. I shoved it back into the box, thinking it was some sort of mistake, and took off, all tantivy-like, to Gerri’s house. Was I being implicated in some espionage; some bit of intrigue? 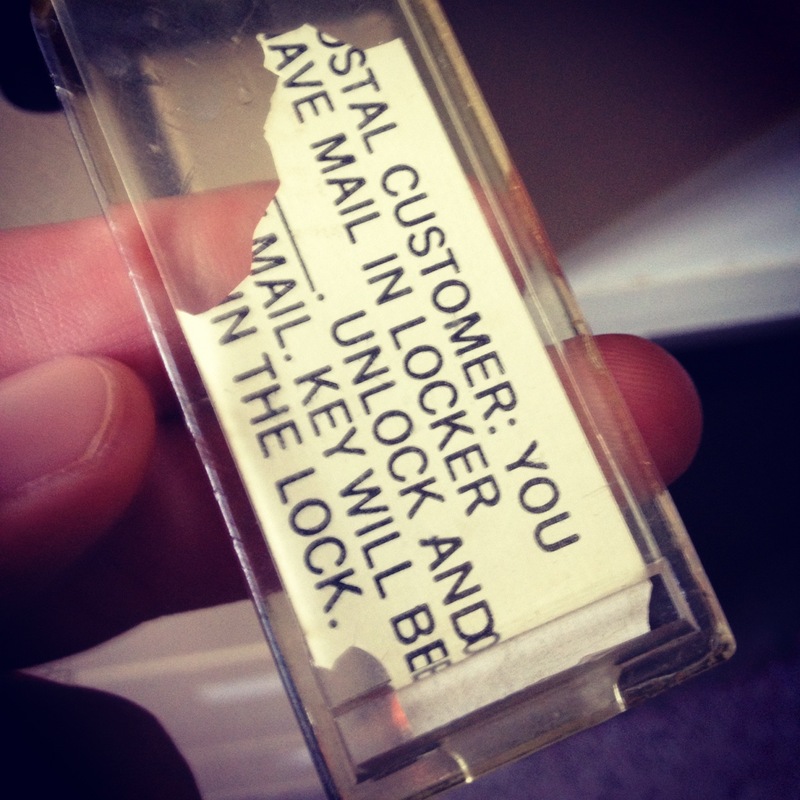 But today I returned, to mail a few notes out to friends, and to face the box & the mysterious key. I half-hoped that the jigger would have been retrieved. But, no, it was still there. I took it out, prepared to stand in line to return it to the postmaster, but then I read the tag attached. 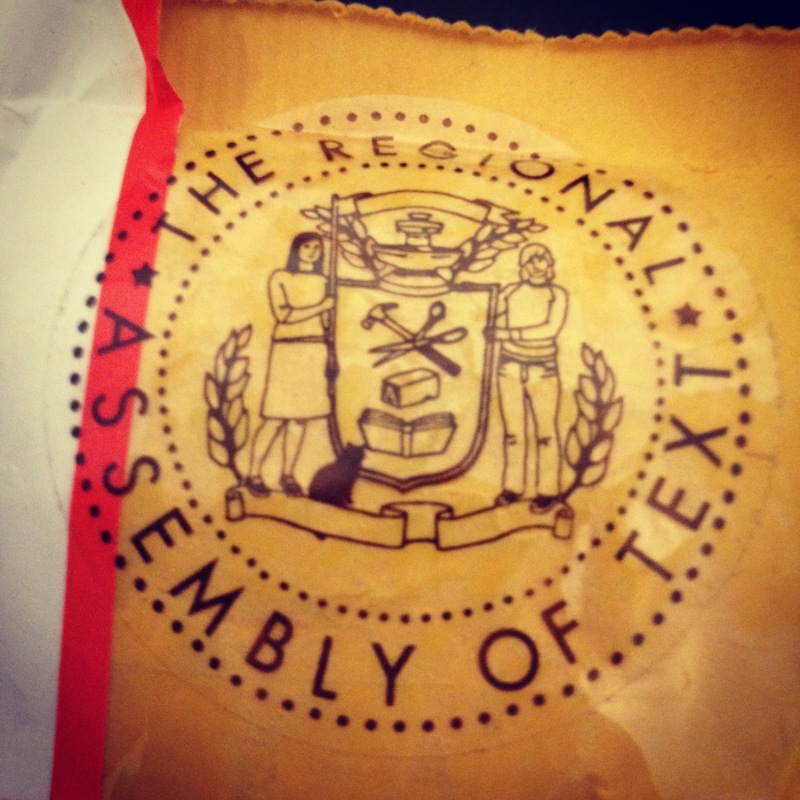 The key clicked pleasingly into place & I retrieved my package––from The Regional Assembly of Text! Everything was so pleasingly wrapped. 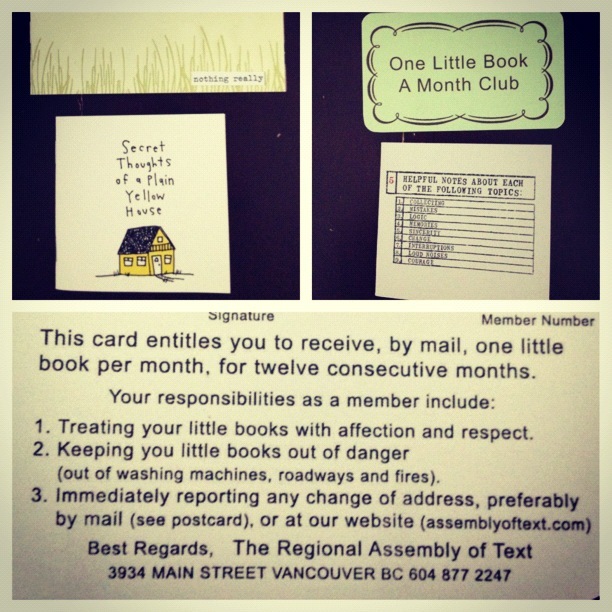 I bought a few cards & little books & also subscribed to The Regional Assembly’s “Little Book A Month” club. Now I must return to preparing my own mini-zines for this week/next. This entry was posted in Alleyways (Summer '12), At the USPS, Bookmaking, Letter-Writing Club, Summer & All, zines and tagged Encyclopedia Brown, Gerri, Little Book Club, Plain Yellow House, post office, Regional Assembly of Text, scones. Bookmark the permalink.